Two tasty recipes that are born from one simple ingredient. A history lesson served with a delicious slice of quiche lorraine. 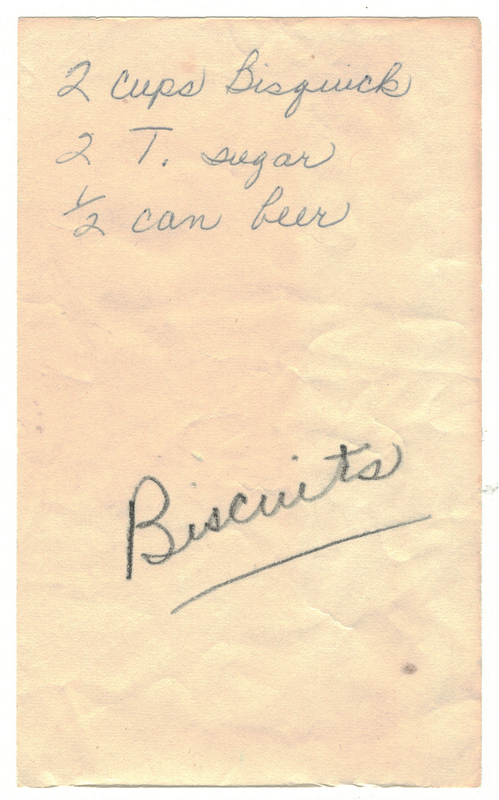 And this biscuit recipe – a fast way to make some homemade biscuits that are infused with the taste of beer. Why just drink a beer when you can eat one, too! Read more about cooking with beer! ❤ If you don’t want a hint of sweet in your biscuits you can dial back on the sugar to 1 tablespoon… or none. But as Joe taught me… “It’s not nice to fool with Betty’s Cook Nook!” You can always adjust after you make *and try* a recipe the first time. ❤ Use your favorite flavor of beer. I used what I had in my refrigerator’s drink drawer which was Modelo Especial. My Mom “Betty” would have Pearl Light handy. And my Dad would be alongside to share a Budweiser with you. Thirsting for more beer? Enjoy some vintage beer commercials below! ❤ I brushed some melted Falfurrias butter on my biscuits and gave them a slight sprinkle of garlic salt. For a second round of biscuits I added a handful of cheddar cheese and they tasted great! The cheesy biscuit pic is below. He has his eyes on the prize! 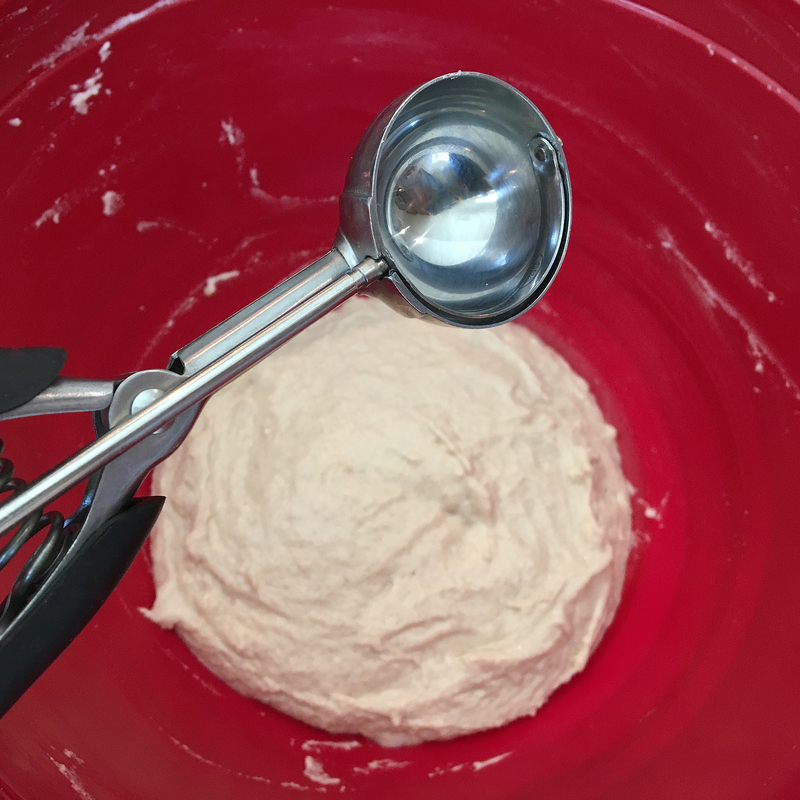 Using a cookie scoop makes biscuit-making a snap! 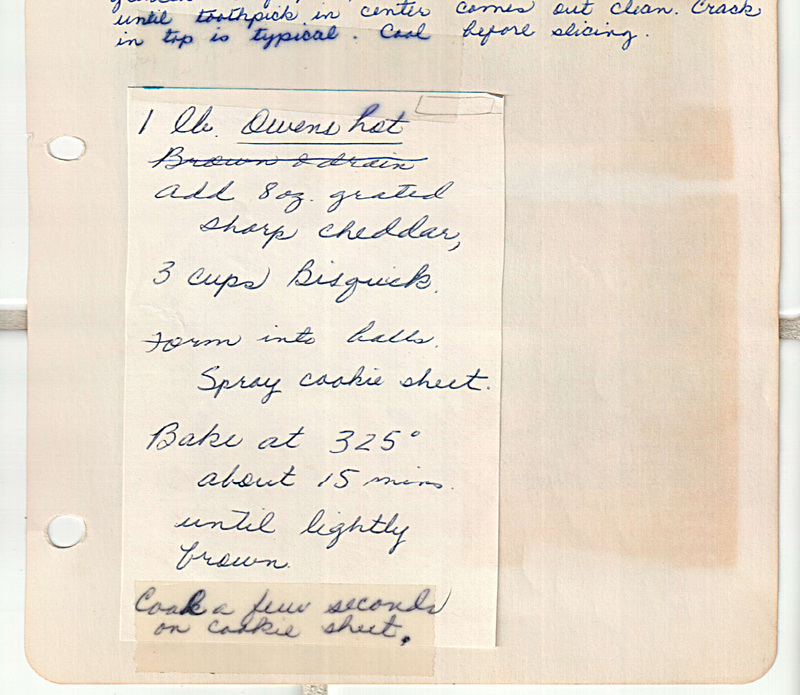 A scan of Mom’s original biscuit recipe! 0. Preheat your oven to 450°F. 1. In a medium-sized bowl add the bisquick, sugar and beer. Mix with a rubber spatula or wooden spoon until well combined. 2. Drop by rounded tablespoons onto a prepared cookie sheet. 3. Bake the biscuits for 8-10 minutes or until golden brown. Serve immediately alongside your favorite breakfast spread. 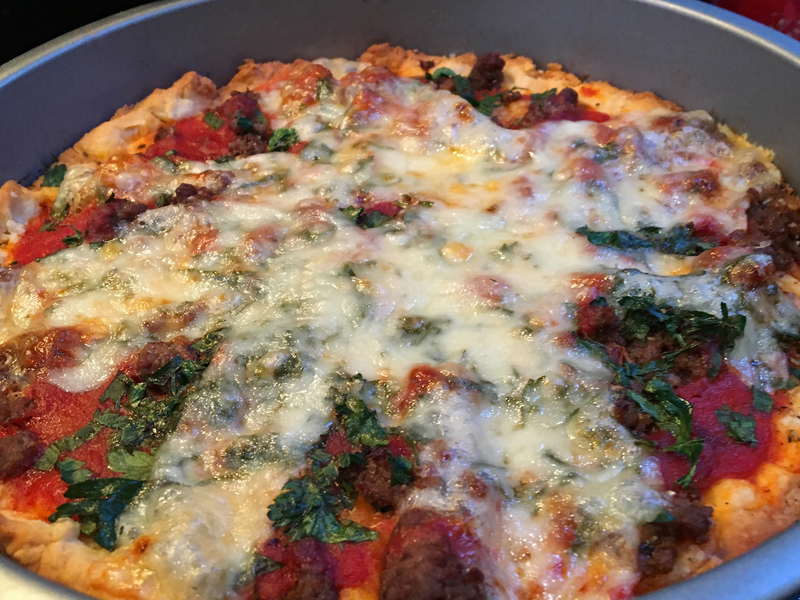 As a self-proclaimed pizza junky my at-home pizza-like objects often take a variety of forms involving Boboli crust, a nice slice of bread topped with Joe’s Red Sauce or this home grown recipe for Trader Joe’s Bacon Cheese Bread. No matter the form the cheesy, savory taste of pizza is always a delight, morning or night. It wasn’t until my first trip to Italy that I discovered I actually prefer thin crust pizza topped with a few simple ingredients. Sorry, cheese-stuffed crust, deep-dish gooey pie! 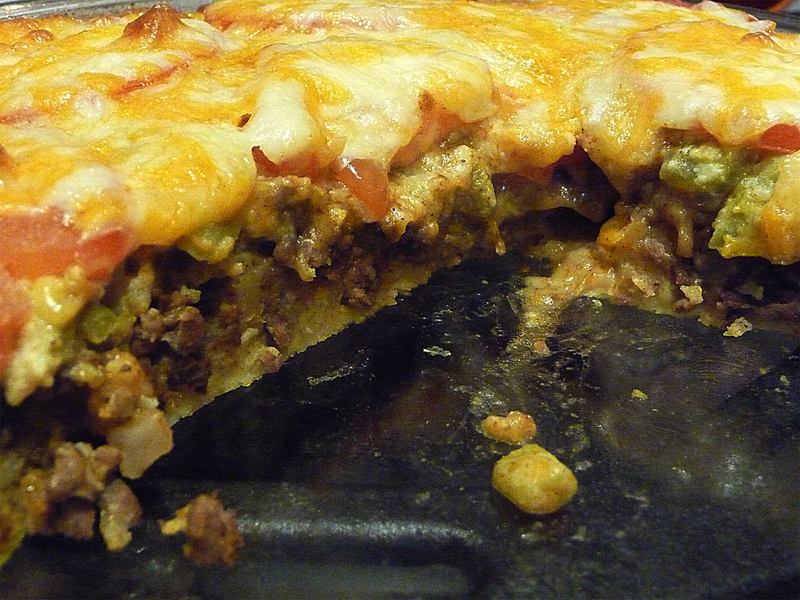 This burger pizza recipe surprised both Joe and I – we agreed it was a bit like the home grown Boboli pizza of the 1970s. But before we dive into how to make a slice of this burger topped piggy pie let’s enjoy a little story. Wow. Chef eating pickles, eggs, hot dogs brought to life in cutting edge ROM graphics. Exciting, huh? Hah! More than 30 years later I still have my Coleco game console including my BurgerTime cartridge, which shows my inner love of food-related fancies. Anyone game for a BurgerTime playoff? 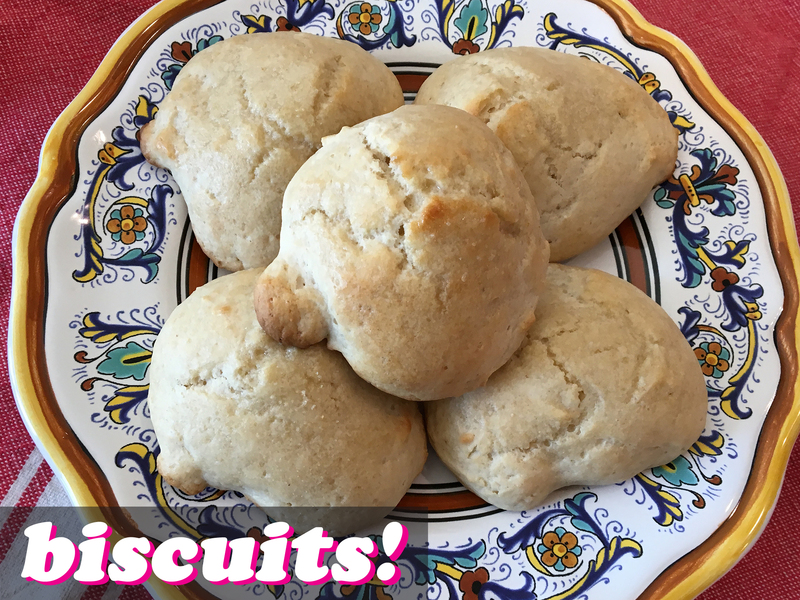 ❤ We didn’t see instructions for how to prepare 1 cup of biscuit mix so we got as close as we could – we used 1 cup Bisquick brand mix plus ¼ cup whole milk to mix. Also, we added a tad more biscuit mix to dust our pastry/cutting board. ❤ Out of Bisquick? 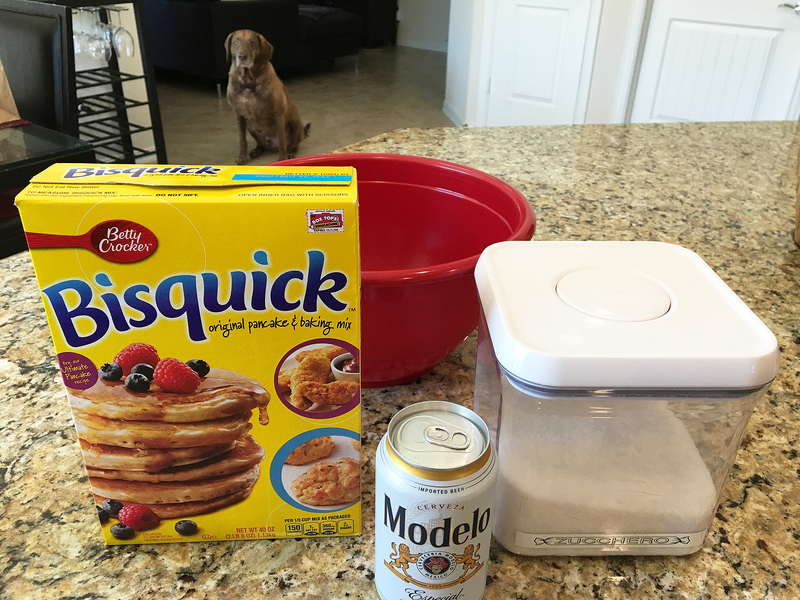 Try this substitute for 1 cup of Bisquick mix: 1 cup flour + 1 ½ teaspoons of baking powder +½ teaspoon salt + 1 tablespoon of shortening. Mix it all up and voilà! ❤ Mom’s recipe doesn’t specify this but we browned our ground chuck before topping and baking the pizza. ❤ I thought to use fresh herbs but I was corrected. “Dried is what would have been used,” Joe said. I agreed. 1. Prepare dough according to package directions (or my above foodie tip). 2. 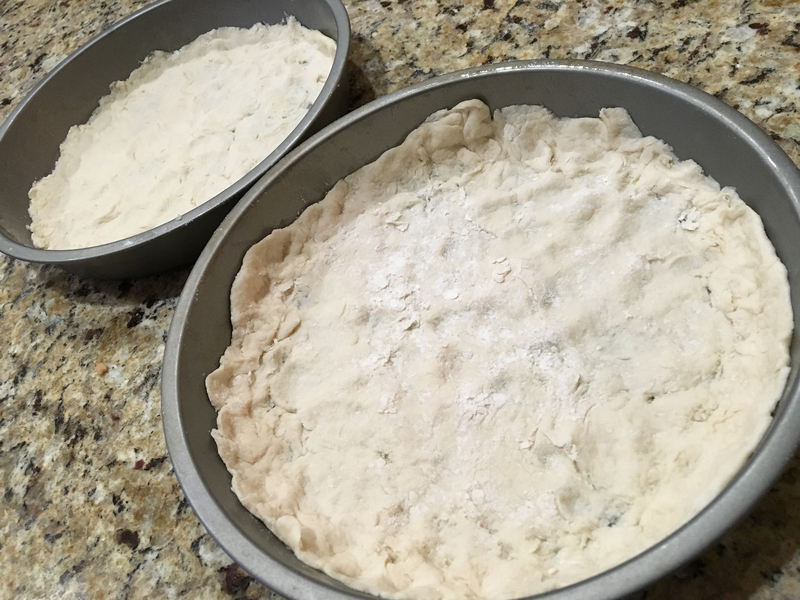 Divide the dough in half and roll each piece to fit the bottom and sides of the pie pans. Place in pan and brush with the oil. 3. 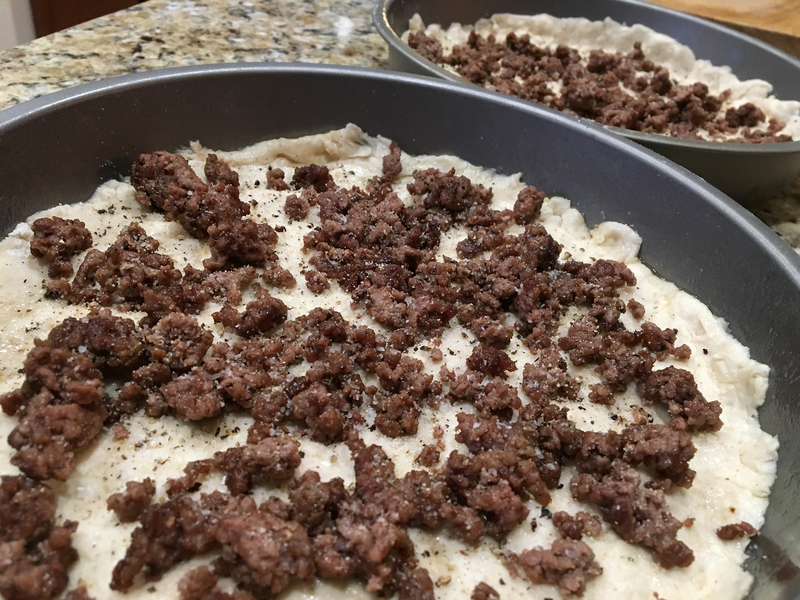 Put half of the remaining ingredients on each of the pies in the following order: crumble the ground chuck evenly over the dough, sprinkle with salt, pepper, garlic salt and oregano or basil. Cover with tomato sauce and parsley. Arrange the swiss cheese strips on top, like a spoke of a wheel. 4. Bake in a 400°F preheated oven about 20 minutes or until brown and cheese has melted. This Pie Makes Its Own Crust ~ Total magic! The idea of “magic” was something I was obsessed with when I was in 5th grade. I dreamed of being a professional magician after seeing a store display on Broadway Avenue… a mechanical magician who could perform tricks compliments of his table, a cup and a few eye-shifty shenanigans. Oh, yeah… I was hooked. Magically obsessed, one day I drug my Dad and best friend Sean to Central Park Mall to a magic shop. My eyes rest upon on a magic kit and I knew in a blink it was meant for me. Dad selflessly bought me and Sean each the magic cred (I remember triple digits, so it was a big deal ~ especially in the 70s). Back at our upstairs playroom at 2927 Trailend, complete with black light, cloth-covered table and my instruction manual cleverly tucked underneath, I performed ~ almost flawlessly ~ some of the tricks I could decipher. This recipe? 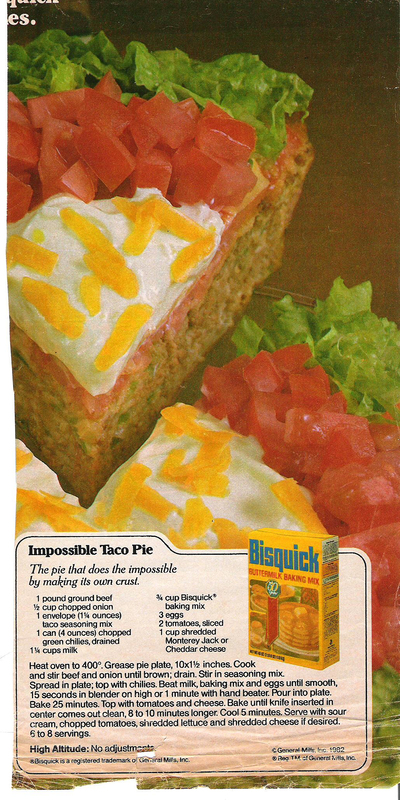 Totally easy to make. And especially easy and great to eat! 1. Grease a 10½” pie plate and set aside. 2. Cook and stir beef and onion until brown; drain, then stir in taco seasoning mix. 3. Spread in pie plate and top with chilies. 4. With a blender or hand mixer, beat milk, baking mix and eggs until smooth; about 1 minute. 5. Pour into pie plate. 6. Bake pie 25 minutes then remove from oven. 7. Top with sliced tomatoes and cheese; return to oven and bake until knife inserted in the pie’s center returns clean (about 10 minutes). 8. 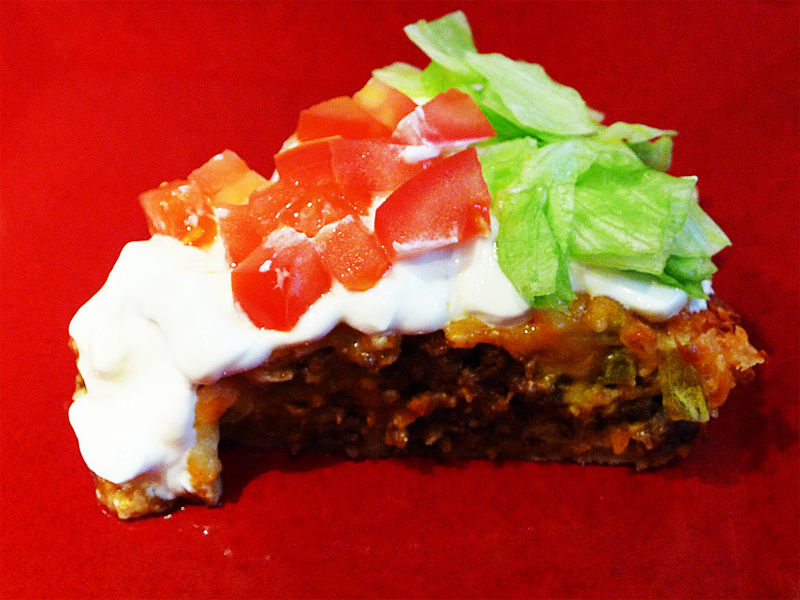 Cool 5 minutes then top with sour cream, chopped tomatoes, shredded lettuce and cheese. ♥ Wanna spice up life? Add fresh diced jalapeños to the beef before you cook it. Adventurous! Making tasty food doesn’t get any easier than this! Mom loved the hot and spicy dishes and so do I! One nice family tradition is that my brother Roger and his wife Debbie have continued to make sausage balls through the years. It seems every time I’m home (mainly the holidays), the oven is revved-up and popping out balls of wonder. Go on, have a ball! Or a few. 2. Form into 1.5″ balls and place on greased cookie sheet. 3. Bake at 350°F until lightly brown (about 15 minutes). 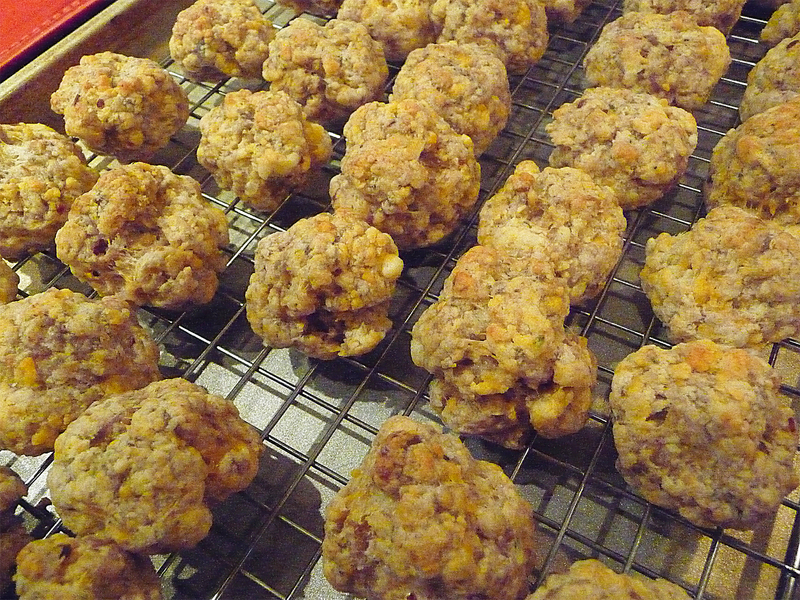 Yields about 50 sausage balls… 49 for me… and 1 for you! ♥ I cooked these up on a raised cooling rack to encourage the grease to drain off the sausage balls. The funny part is there was no grease! I also found it odd that “brown and drain” for the sausage on the recipe was marked through. I checked with Roger and Debbie and they assured me the sausage cooks in the ball form. That’s why I cranked-up the oven a bit to 350°F. No toxoplasmosis or salmonella in my kitchen! In the process, I think I overcooked these a bit so best stick to the directions! 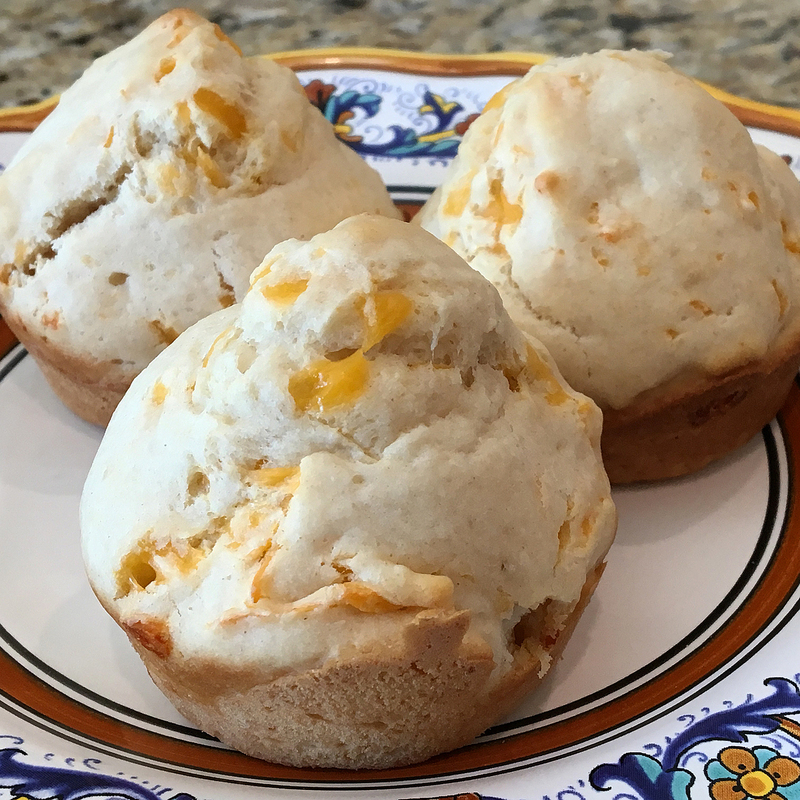 ♥ My brother Roger has a slightly different version of this recipe which calls for: 1 cup grated cheddar cheese, 1 cup Bisquick and ½ roll of Owen’s sausage. You mix this all together and form 1″ balls and bake at 350°F for 15-18 minutes until lightly brown. 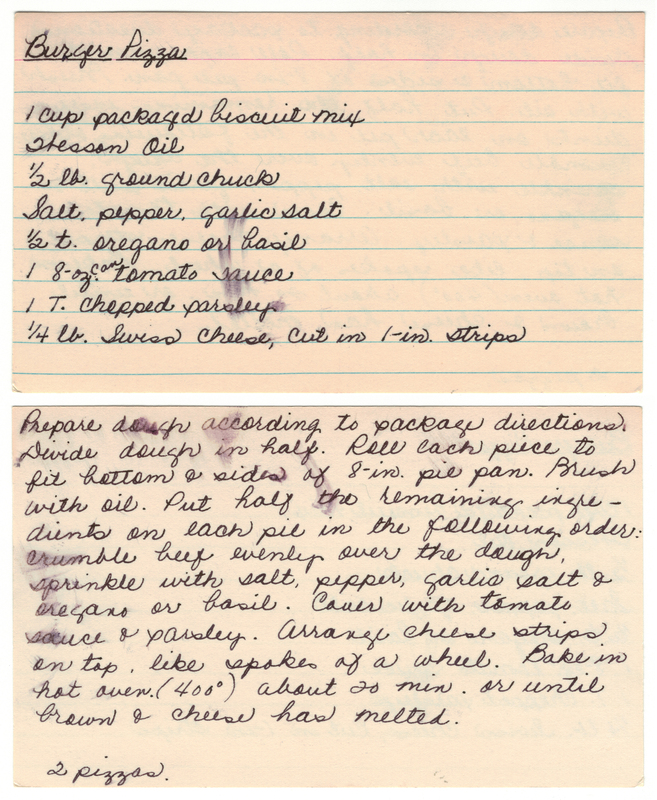 A copy of mom’s actual recipe is below!